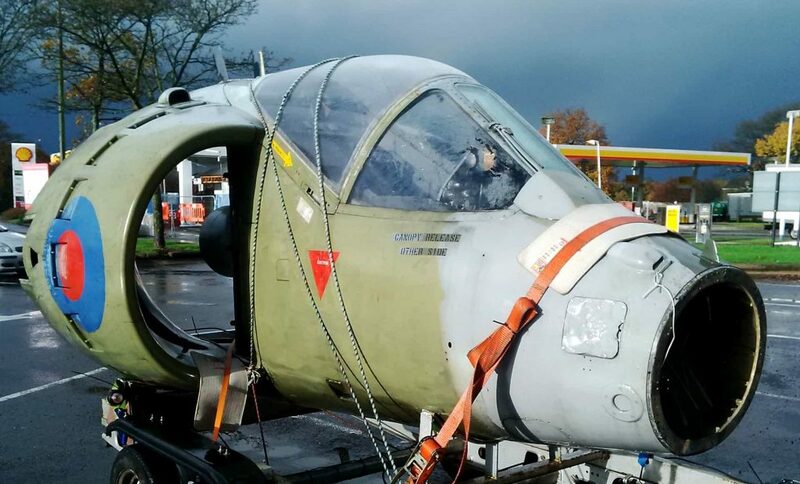 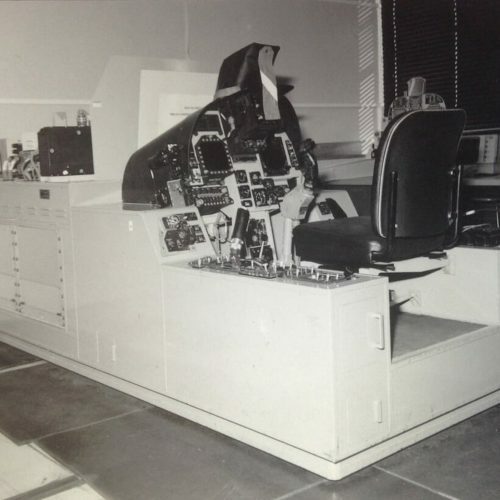 This particular Aircraft has a close connection with the owners of The Collection as it was not only the first Harrier Cockpit Section that we purchased, it was also the first Harrier that we ever owned, albeit the Matchbox Version. 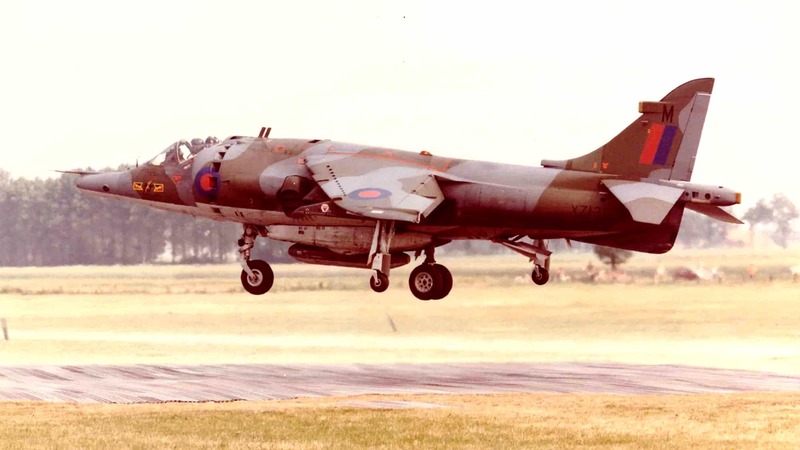 The Hawker Siddeley Harrier was developed in the 1960s and was the first operational close-support and reconnaissance fighter aircraft with Vertical Short Take-Off and Landing (V/STOL) capabilities. 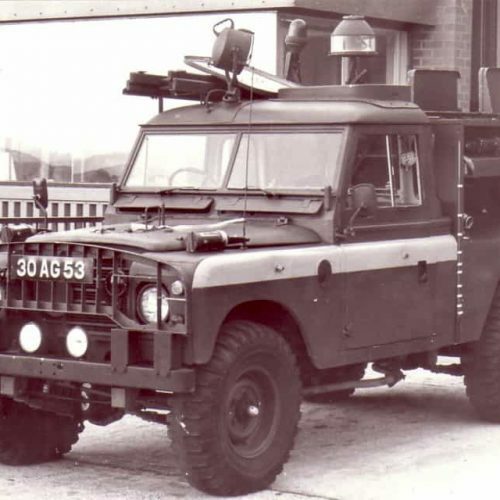 It officially entered service with The Royal Air Force (RAF) on the 18th April 1969. 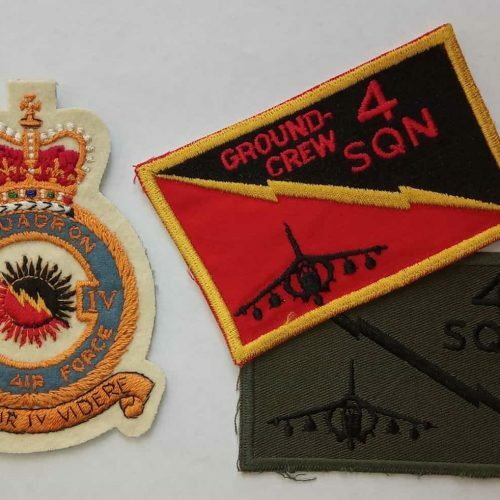 In RAF service, the Harrier was used in Close Air Support (CAS), Ground Reconnaissance (GR), and other Ground-Attack roles. 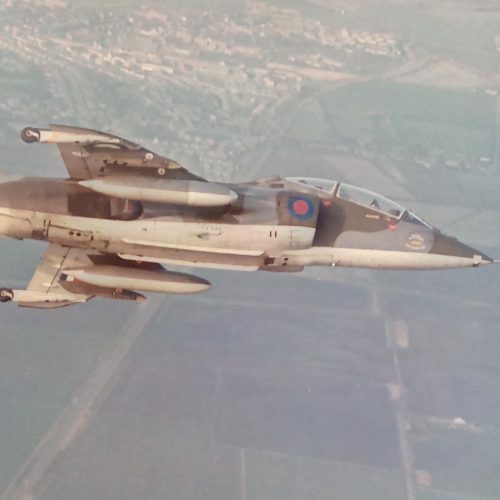 The RAF ordered the Harrier GR.1 and GR.3 variants and trained in the two-seat Harrier T.2 and T.4 versions. 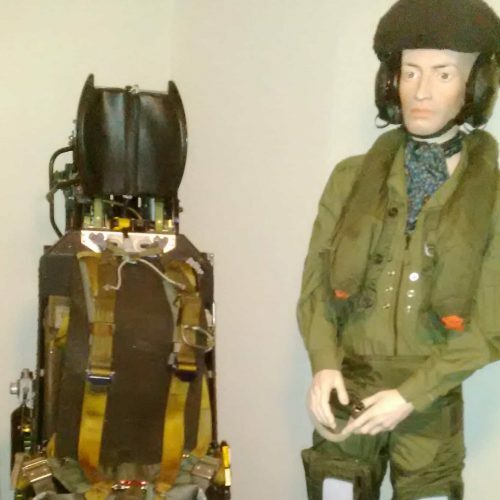 During the Cold War, the Harrier had a long-term heavy deployment in West Germany as a conventional deterrent and potential strike weapon against Soviet aggression. 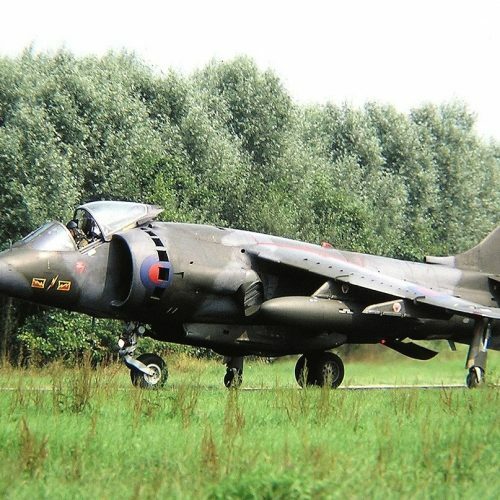 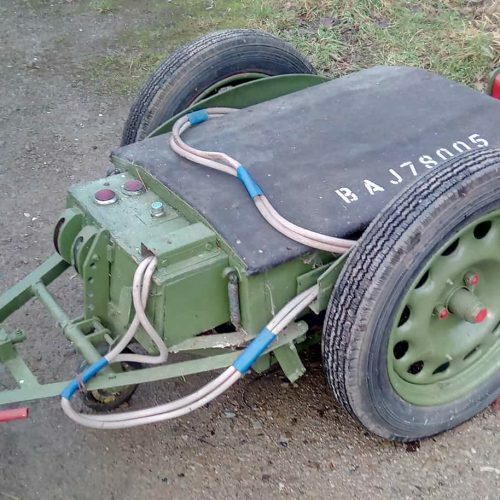 In the event of conflict, the Harrier could operate from camouflaged field bases to launch attacks on advancing armour columns from East Germany. 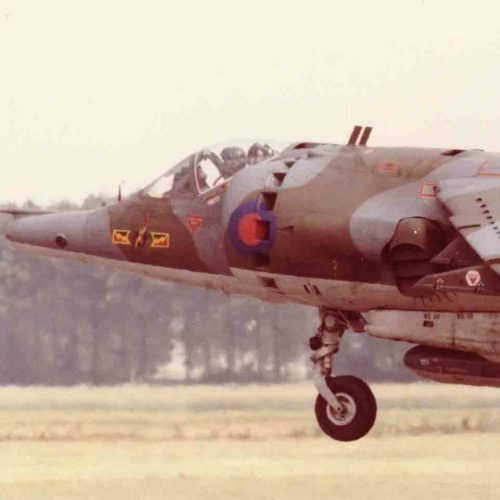 Harriers were also deployed to bases in Norway, Belize and during the 1982 Falklands War.